Upon entering our office, you will be greeted by my receptionists, Sarah, Stephanie, and Deborah. They will arrange and confirm your appointments, let me know that you have arrived for your appointment, as well as take the phone messages for my medical assistants and myself. I also have special help from my other staff members: Veronica , Kristin, and Dede. Veronica handles much of the insurance billing and patient account counseling. Veronica is the person you would speak to if there is a problem with your account. Stephanie also helps process your APS requests, and assists Veronica with billing your secondary medical claims. Dede and Kristin are my medical records and handles my correspondences and filing/scanning of your medical charts. Kristin is also a medical assistant and will sometimes help me in the back office. 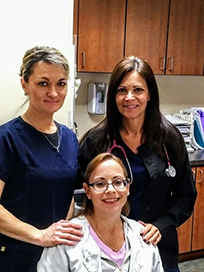 Together, my staff is here to make your medical visit comfortable and as easy as possible for you. Yana, Fawn, and Debbie are my dedicated medical assistants. Yana or Fawn will take you back to an exam room, check your blood pressure and pulse, and will ask a few brief questions about the reason for your visit. Shortly thereafter, I will be in to see you. have left the office within 24 hours. 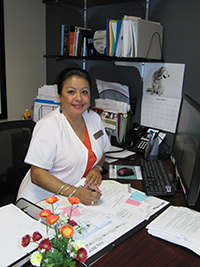 Elena is my back office medical assistant who specializes in referrals, managing Rx refills, and prior authorizations. She will be in touch with you either by phone or e-mail/fax. If no outside appointments are necessary, you will go to the front desk to check out. Deborah will check you out and take any payment that is due. Your follow-up visits will also be scheduled at that time. Also we have recently expanded our office and now have a prescription prior authorization coordinator. 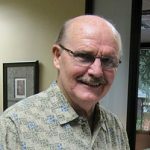 Jeff is the one to contact if your medications need approval. 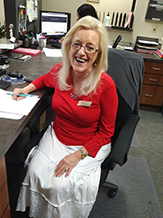 Nan is my office manager and is always available to speak to you regarding any questions or concerns you may have about your office visit. Nan handles the management of the office and staff, oversees accounts receivable, billing, Medicare payments, special events, and MyHealthRecord.com. Please feel free to contact her with your suggestions or ideas. Last, but certainly not least, are my office volunteers, Lou, Nancy, Pat, Steve, and Marie. They help us with the filing, the mail and do an excellent job. We all look forward to seeing them every week.